Chances are, when your doctor discussed osteoporosis or osteopenia with you, he or she said to take calcium. 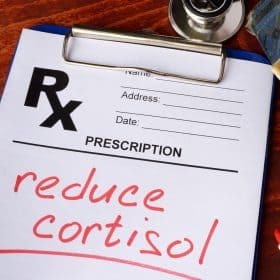 Some doctors will actually prescribe it in large doses, and more often than not, their recommendation is for calcium carbonate (and sometimes calcium citrate). What the medical community is missing here is that these types of calcium are very poorly absorbed and can even cause health issues, including increased risk of heart attack. In fact, you could be taking a high dosage of doctor-recommended calcium every day and still be calcium-deficient – especially if your diet is low in calcium-rich foods or if you rely on dairy products for your calcium intake. So how do you know if you are calcium-deficient? That’s what we’re going to talk about today. We’ll take a look at three common problems that are caused by calcium deficiency. Sadly, they are usually treated with prescription drugs, drastic changes in diet, or other unnecessary interventions. We’re also going to explore a revelatory study that clearly demonstrates how poorly several forms of calcium supplements are absorbed. Confirmed By Canadian Study: Most Common Forms Of Calcium Are Barely Absorbed! Savers already know that there is a distinct difference between organic and inorganic calcium, but this is so crucial, that it bears repeating. Inorganic calcium, which is generally in the form of calcium carbonate, coral, oyster shell, citrate, dolomite, and so forth, is not easily absorbed by the body. In large amounts, this inorganic calcium acts like the “rock” that it is – it accumulates in soft tissues and internal organs, including the arteries, where it can set off a heart attack. On the other hand, organic calcium – that is, calcium sourced directly from plants – is readily taken up by the body so massive doses are not necessary. This is because plants take up inorganic calcium from the soil and change it via photosynthesis into an organic form. The presence of chlorophyll enables the plant to use the inorganic calcium to produce its food, starch and sugar. It’s true that, chemically speaking, the isolated calcium found in rocks is the same as the calcium found in bone. But here’s the kicker: calcium does not work in isolation. It works in synergy with other nutrients (also found in plants) to be absorbed and used by the body. For this study, researchers divided 60 people into four groups of 15 each. Each group was given either two forms of calcium amino acid chelate, dicalcium malate, or calcium carbonate for five weeks. While “all the Supplements had a poor bioavailability” 1 according to the study, the researchers noted that dicalcium malate had a better absorption than the other three types of calcium, and calcium carbonate was hardly absorbed at all. In other words, what kind of calcium you ingest really matters! You may be wondering – if getting calcium from food is optimal, what’s wrong with milk and dairy products? In fact, your doctor may have told you to “drink plenty of milk,” like mine did. Here’s the problem with dairy products: they are so highly acidifying that they actually result in a net loss of calcium. In addition, cow’s milk contains somatic cells, antibiotic residue, pesticides, and growth hormone even if it’s not added by the dairy farmer (it is naturally present in milk to aid in the growth of calves). The exception to this is calcium-rich, plain, organic yogurt, which is actually alkalizing due to the fermentation process and the presence of healthful bacteria. So given all this information about types of calcium and so forth, how can you know if you’re getting enough? 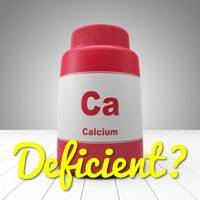 Let’s take a look at some of the health issues associated with calcium deficiency. Most of the following health issues are treated with drugs of some nature. Yet a lack of calcium may in fact be the culprit. If you’ve ever suffered from insomnia, you know how unpleasant it can be. And all that tossing and turning is made even worse when you consider how vital sleep is for your bone health. In fact, animal studies have shown that a lack of sleep actually prevents the formation of new bone. Of course, without sufficient calcium, this problem would be compounded. This is probably due in part to calcium’s role in the manufacture of the sleep hormone, melatonin. In fact, calcium uses tryptophan, an amino acid found in foods like turkey and cheese to manufacture this hormone. Yet if you seek medical advice about your insomnia, you’ll likely walk out of the doctor’s office with a prescription for sleeping pills. Of course, you can’t simply add calcium on to a high-calorie diet and expect weight loss. But if you have trouble shedding pounds, extra calcium-rich foods in addition to your lower calorie diet could be of great benefit. Here is a health issue you may not have heard of, but might have experienced. Paresthesia is considered a symptom of a nervous system that is not functioning properly, and it is also a symptom of calcium deficiency. It manifests as tingling, numbness, muscle tremors, and/or an impaired sense of touch. Low calcium in the blood has been connected to neurological and physical impairment, leading to confusion, poor memory, hallucinations, and muscle tremors and twitches. Choosing The Right Calcium – What About Supplements? The science is clear: the kind of calcium you ingest is of utmost importance to your bone health. Obtaining as much calcium as possible from foods is optimal, but it’s understandable that maintaining a high enough daily dose with foods alone is nearly impossible. So turning to supplements makes sense. However, it’s crucial that the supplement you choose be bioavailable and easily absorbed. It should also be a fairly low dose, so you are not taking in more calcium than you can absorb. After all, high doses are not necessary if the maximum amount of calcium is being taken up by your system. Many in the Saver community are aware that I recommend TrueOsteo, and for many important reasons. In addition, because no mineral or vitamin works in isolation, a good calcium supplement should contain nutrients besides calcium, including important trace minerals and vitamins D3 and K2. TrueOsteo meets this criteria and more. It contains organic AlgaeCal, an algae-based form of calcium that is readily used by the body. It also contains food-based extracts and herbs like Amla fruit and Ashwagandha. And you only have to take 4 capsules a day – 2 in the morning, and 2 in the evening. This leaves lots of “wiggle room” as well, so you can reduce your dosage easily if you so choose. And there’s a special offer exclusively for Savers: simply enter the coupon code SAVEOURBONES at checkout, and receive 20% off your order. I can tell you that I take TrueOsteo, and have been very happy with it. However, if you are not happy with TrueOsteo, you can return the unused portion for a full refund. Exclusive 20% OFF TrueOsteo Coupon Code for Save Our Bones Readers! Use coupon code: SAVEOURBONES at checkout to get 20% off your order! I invite you to click here to learn more about TrueOsteo. **Please note that, according to the manufacturer, TrueOsteo only ships to the U.S., Canada, UK, Ireland, Australia and New Zealand. I get weaker and feel a little bit hazy after my workouts. Also when I used to lift heavy weights(w.r.t. age, BMI) , my muscle begans to vibrate. Is it the quest of weakened muscle or Bone Density? I have been using TrueOsteo for some time now and have been very pleased; however, the cost has increased dramatically this year and I can no longer afford to purchase it. 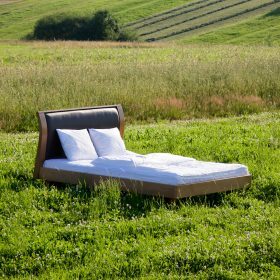 Vivian, is there another brand you might suggest? Thank you. This article will not help us “save our bones.” Take for instance, drinking milk will NOT lead to decalcification of the bones. The one HUGE flaw with that argument is that the researchers acted on a flawed premise that a change in urine pH after drinking milk MUST mean that the metabolic pH changed which, in turn, leads to the excretion of calcium from our bones. This is not the case…eating foods high or low in pH WILL change the pH of our urine, but it will NOT change the pH of the blood in our body. Our bodies have a complex buffer system that prevents this very thing. In short, drinking milk, or any mildly acidic product for that matter, will not cause metabolic acidosis unless if you have serious medical issues (such as diabetes). A factual study can be found here: https://www.ncbi.nlm.nih.gov/pubmed/22081694. Thank you for perpetuating false information, SaveInstitute. Cn anyone suggest me for solve this.??? I am very sorry to hear about your mother’s suffering, Musheer. She is lucky to have a son who is researching on her behalf, however! Steroids do in fact destroy bone; a pH-balanced diet rich in fruits and vegetables is her best bet for rebuilding her bones after such extensive steroid use. I have lost my calcium with masterbation or hand practice tell me how to restore it?And how I increase height? now a days i m very much like eating soil, is this low calciam problem? You may check the vitamin -D levels and Vitamin B12 levels which are interlinked with the issues you have mentioned. iam sufferring from calcium deficiency due to this iam unable to sleep.there is a some kind of pain in joints of legs.so please give me some solution to this kind of problem. the richest calcium foods are sesame seeds,green leafy vegetables ,milk and fiber fruits… others i’ll tell if i’ll remember…..
I’m concerned about the many brands of nondairy milks that use carrageenan. This additive is regarded in some quarters as causing inflammation and a possible carcinogen. Can you please address this. Thanks. Hi. May i know what form of calcium is used within the pills (Calcium carbonate/Calcium orotate)? And can this supplement be effective to treat hypocalcemia? Does greek yogurt have more organic calcium than normal yogurt? The calcium content of both Greek and plain yogurt will vary from brand to brand, but generally speaking, some calcium is lost through the whey-straining process of Greek yogurt. So regular yogurt tends to have more calcium than Greek. I wonder if someone can testify to an improve bone density taking this calcium. My wife is suffering from body pain at back, knee etc., She has pain and we find small swelling at the places where the pain is severe. On applying pain reliving ointments etc, pain reduces, but pain start in some other place! Well doctors after analyzing says it is due to Vitamin , Calcium deficiency. I am not satisfied with this answer. Kindly advise if she takes calcium tablets, will she be alright and relieved from such pains. Her age is 58. Have the doctor check to see if your wife is vitamin D insufficient,and also calcium insufficient.I too suffer from this form of pain you mentioned.Mr Dr put me on vit D as well as calculus supplements. Which is castrate 600.D.this works well for me. I am very sorry to hear that your wife is experiencing pain! I can’t tell you definitively if calcium supplements will relieve her pain; there are just too many individual variables (and types of supplements). I can tell you that an organic, plant-based calcium will be more readily absorbed into her system, and that magnesium is also a supplement to consider. I wish your wife a speedy recovery! Make sure you take vitamin K. It will eventually help lower the high blood calcium unless you have parathyroid problem. I also changed to distilled water last December as our city water has excessive calcium added. Also ADDED TrueOsteo….. can you believe i broke my 5 year record of high blood calcium by dropping down to 9.3 –10% less than it has been. I feel so much better since it is down. It sound paradoxial but there it is. Thanks to Vivian’s news. I have had one blood test but am so encouraged. Hi, does it cause constipation? Anne, I am overjoyed to hear this! The holidays have been very busy and I am catching up on what is happening with the community. 🙂 Thank you so much for sharing your good news with everyone! I have a product that has calcium carbonate from eggshell. Is that an acceptable form? Dale, eggshells are calcium citrate, which is not organic. I am Coeliac and would like to know if there have been other coeliacs on your programme that have successfully increased their bone density. I eat really well and find that I can’t take supplements, I’m on no medication and I’m 70. My bone density score is -3.00. Help! Love reading your emails, lots of interesting information. Interesting information about calcium deficiency, but is this the only factor affecting sleep and muscle tremor, and confusion? What do you think about non-invasive ultrasound, BeamMed, instead of a Dexa scane? I switched from TrueOsteo to calcium from algae by New Chapter, called Bone Strength. Also contains D3, K1, K2, a little Magnesium, 5 mg Strontium from algae, Silicon and Vanadium from algae. Total Calcium is 770, a little more than TrueOsteo. Any thoughts? My natropath has recently prescribed CalApatite which contains MCHC and to take extra magnesium and extra Vitamin D (4000 units) and Vitamin C (3000mg). Is this a good source of calcium? I tried an algae source, but it caused stomach upset. I have recently read of organic calcium , K2 , D3 ,collagen chelate and plum extract a product called KoAct. Life Extension has a product called Bone Strength Formula. How does this compare with TrueOsteo which I presently am taking? I would be interested to know your opinion. My bone density is now -3.0 with greatest loss of bone in spine while my hip is gaining bone. I really don’t understand osteoporosis. I was taking Bone-In but I am not very diligent with supplementation pills of any kind. I do drink milk, east yogurt, love cheeses my whole life. I am not sedentary, nor do I want to be. My GP & dentist (I have advanced periodontal disease for the last 26 yrs but is being maintained) both are strongly encouraging me to take Replast before Christmas. I have been looking into yoga before this massive push to medicate. I truly don’t know what to do, as Reclast can cause jaw bone issues & damage kidneys!!! Any comments for me? Keep taking dairy products for calcium intake, organic as much as possible, BUT combine them with magnesium and Vitamin D for absorption. Minerals work in harmony in the body and never alone. Stay far from satanic yoga… be a good Catholic. Cheers. Joseph. Yoga? What’s “satanic” about yoga?? A. There is no “Satan” in my opinion and that of most non-fundamentalist folks. B. Yoga is just one of many forms of breathing and posture aides to medication or stress relief. Any “religious” nature has been added to the basic healthy benefits found empirically over many years. I have been taking TrueOsteo for about two years. I take two capsules/day seeing I eat plain organic yogurt, kefir, use almond milk, etc for more calcium. I just read this article about 3 signs of calcium deficiency and realize that I have been showing signs of this…insomnia, and paresthesia( which I never heard of)…tingling, numbness, hand tremors, and my eye has beginning to twitch sometimes. If this is because of lack of calcium absorption, what should I do? Your body might not be absorbing all of that calcium. You didn’t mention magnesium. Try adding 3 capsules of magnesium malate before bed and those symptoms should disappear. with BambooSilica, Boron, D3, K2, Raw Kale.. It costs $46.00 Cnd and there are 180 soft capsules in a jar. I take 2 per day and don’t have too many aches and pains. Has anybody else tried it? What type of calcium is the Enerex Osteo Cal-Mag? 100MG ELEMENTAL CALCIUM the health food store recommended this for me. Hope it helps. The exercises and foods you recommend for bone health, are very helpful. Your supplement promotions and endorsements, on the other hand, are a crapshoot. You have stated that the manufacturers of TrueOsteo “found” you. The truth of the matter is, TrueOsteo manufacturers recognize that a large community of people TRUST your views and opinions, so they TARGETED you. Sale of supplements is a very convoluted and lucrative business, and you have obviously decided to get a piece of this pie. The problem is, you choose not to do due diligence and rigorously scrutinize claims made by supplement manufacturers, before accepting endorsement revenues and undertaking product promotion. You like to quote chapter and verse from studies disproving osteoporosis drugs. It is therefore irresponsible and hypocritical when you choose not to take steps to lay the facts bare, when it comes to endorsing products for which you are receiving revenues. I have made the comment before, and I will make it again – when money is part of the equation, your viewpoint is biased and your opinions cannot be trusted. – product quality will always be in question when manufacturers are allowed to police themselves. JVH,, bless you my friend for being bold and speaking the truth despite the 95% of the people that are so arrogant it’s unbelievable.. I say do the research you’ll be surprised.. I see that you did not get any reply from Vivian. I do not know whom to trust at this point. I tried True Osteo for 3 months, my DEXA says it is getting worse. IS it because I did not try True Osteo longer or because it dies not work ? Tough question. One product alone will not likely build bones. Vivian recommends a program of food, supplements, including TruOsteo, and EXERCISE. Most likely bone will not rebuild unless you do weight bearing exercise. People demand full disclosure from Vivian yet do not even understand the whole picture she recommends. If you don’t like the product dont use it. Use what you want. But do the exercise or you most likely will not get the results. One year is usually how often DEXA tests are given. That tells us it takes time to change bone structure. 3 months is unrealistic. Hang in there and go for the full program! I was surprised to see Strontium as one of minerals in the calcium that Vivian is recommending. She has written that strontium makes bones thicker not stronger and should not be taken. Confusing to say the least. I too hate all the promotions on her website and whenever I tell someone they should check out this site it’s with the warning about just that. I know she has to make a living, but I hope it’s not at the risk of her reader’s health and pocketbooks. Over the years, lots of us have hounded Vivian for a recommendation for what calcium to take and I believe she has researched this to try to give us some advice on this. I think we should appreciate her for doing this. It is only a recommendation, we don’t have to buy it if we don’t want to. Her information is very helpful! Well said!! With all the research she brings us it is hard imagine that she does not believe this is the best product out there or else she would recommend something else. It is her website. We all take what we want from it. Personally i am very encouraged by her information. Some bloggers write instead of READ what the article says, for goodness sake! I take Ultimate Bone Support (Advanced Bionutritionals) a total of 2 tabs a day. Main ingredient is Strontium 250 mg. I just started so I can’t really tell if it is better to take this supplement than Calcium prep. Hope someone can give me an input on this. Fina, I was taking a Strontium supplement and then my hip bones began to hurt. Then I found out that Strontium actually works the same way the bio phosphates do, they will make your bones brittle and prevent re-modeling, it was also causing diarrhea. I stopped taking it and after a few weeks the pains in my hip went away (and the diarrhea went away the next day or two). I was also taking the microcrystalline hydroxyapatite form of calcium and began to have arthritic symptoms. In fact the doctor said it was early onset arthritis. However, I read where too much calcium can cause these symptoms so I changed to New Chapter Bone Strength Take Care which is a plant based Non-GMO verified formula with TargetCal and the arthritic symptoms went away. Hope this helps someone. I also take Bone Strength and am wondering how it compares to the one Vivian recommends. Thanks for your input, Valli. It seems like 250mg a day might be too much. Also, this supplement needs to be taken in between meals and not with other medications. .. I have been taking True Osteo, but my doctor recently told me NOT to take calcium. He referred to a study that linked it to heart problems. Do you have any information on this? The heart problems associated with calcium supplements is from the type of calcium that comes from “rocks.” TrueOsteo is from plants, I believe, so there is not that danger. [Vivian has that information somewhere on her website I think… Or TrueOsteo might have it.] That’s my understanding, but you can check for it too. Or is it because it causes a magnesium deficiency? It is very difficult to get enough mag from diet and most need more mag than cal. I have trouble with the algae calcium it upsets my stomach even if I take with food. elemental form StimCal Microcrystalline Hydroxyapatite. Thank you for any information . I use Bone-up by Jarrow to, but I only take 4 a day! 2 in the morning & 2 mid-afternoon. That’s been my experience too Suzy, so stopped taking it and haven’t replaced it with anything else. Sounds like it caused magnesium deficiency. TrueOsteo appears not to be vegetarian. It contains gelatin. I take AlgaeCal Plus distributed by AlgaeCal Inc. which is vegetarian and contains almost the identical ingredients. Thank you for all the great info and exercises that you have on your website. I also take AlgaeCal Plus. It is reasonably priced and contains mostly the same ingredients as TrueOsteo. I can buy 6 bottles for about $157 which includes shipping. I feel I have benefitted from this product. I had soreness in my lower vertebrae early in the year, but since I have been taking AlgaeCal, this soreness has been greatly reduced. I also have been taking Algae Cal Plus for the last year. I am also curious what the difference between it and Trueosteo are? Sadly, it seems there is as much confusion here as ever. I would like to see some discussion on Microcrystalline Hydroxyapatite (MCHC) – this is a helluva lot cheaper than the recommended product – and the Jarrow and M2M brands I take contain many additional typically recommended micro-nutrients. I would also like to know what sort of commission is made by Save Our Bones when purchases are made through this site. That is obviously critical information. calcium – serum test (Arsenazo-lll Dye Binding) is 10.3 mg/dL. Is my calcium level ok or not pse? I make yogurt, milk kefir and water keir and consume these daily. Hope this will help my problem of PPP. Isn’t most of the calcium and lactose taken out of these products by fermentation? I think I will go back to using Osteo calcium…I used it in the past but I was always wondering if the magnesium in it met all the requirements? Can I take this without extra magnesium being they always say that it should be half the calcium quantity. That’s always confused me. Mary Kay, what I do is take a multivitamin that contains magnesium along with the TrueOsteo. 🙂 It’s impossible to find one supplement that contains all the Foundation Supplements! I’ve been using this Garden of Life Raw Calcium for years and buy it online for about $25 per month by subscribing to automatic deliveries. I use almond milk with my cereal and tea, but I wonder about the added calcium carbonate in it. Is this enough to cause any problems? Can you tell me the brand name of the multivitamin supplement you take? Kathy, I am not recommending any particular brand of multivitamin right now…to tell the truth, I am still searching for the “perfect” multivitamin. When I find it, I will make sure and let the community know! After which age Women Bones Get Week. Does plain Greek yogurt fall under the category of plain yogurt? It certainly does. I enjoy both regular and Greek nonfat plain yogurts. Like to add alkalizing nuts and fruits for lunch. Enjoy! I have ordered several times from TrueOsteo but living inUK not only do I have to pay high shipping cost but also import duty. You used to recommend AlgaeCal which is cheaper to import. Would you mind telling me why you changed and what is the difference between the two. I compared the list of ingredients in AlgaeCal vs. TrueOsteo a few years ago when Vivian started recommending TrueOsteo. I even called the makers of TrueOsteo and verified that the organic calcium preparation was the same. TrueOsteo would be cheaper for me but I thought that the AlgaeCal looked like a better and more complete bone health supplement. So, I decided to continue with the AlgaeCal. Thanks Polly for your information about TrueOsteo vs. AlgaeCal. I live in England and as Margaret explains, the cost of shipping and import duty makes TrueOsteo far too expensive. The AlgaeCal supplement looks like being my best option. In the list of ingredients for TrueOsteo I see that gelatin is included. Is there an equivalent vegan preparation? For many reasons I choose not to eat animals. Source of Life has a vegan, organic AlgaeCal calcium called Nature’s Plus Garden Calcium whole food calcium and magnesium. It is more expensive than the one Vivian is recommending. It doesn’t have in it K2 or D3. It is $53 for 120 capsules. I get it at the Vitamin Shoppe. I’ve been using the water distiller that Vivien recommended for about 2 years now. I am very glad to get all the ‘junk’ out of the water I drink. I’ve been reading here and there how distilled water is considered dead water. I’ve been adding a metal cylinder containing minerals to the jugs of water to get back some trace minerals. I’ve also been adding a tiny bit of baking soda to the water. Am I doing the right thing? Is there anything else I should be adding to the distilled water? I have been drinking purified water from our Natural Foods Coop. It is sold in bulk–fill your own bottles. In the last few months, I have added Essentia water that is guaranteed to have a ph of 9.5 or higher. However, it does come in plastic, non-BPA, bottles. There has been very recently a publication in the BMJ about a study involving more than 100.000 people from Sweden. It seems that if milk is problematic for women (much more than for men), dairy products (other than milk) are really good against osteoporosis and against general mortality. Luke, are you speaking of other dairy products like plain yogurt, or cheese, or did they specify?